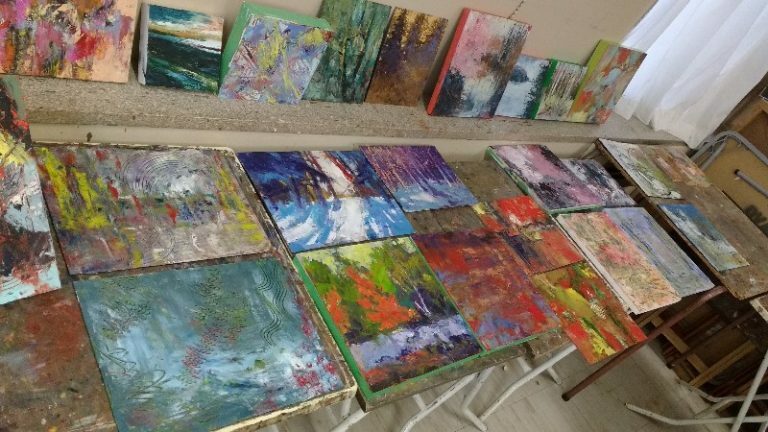 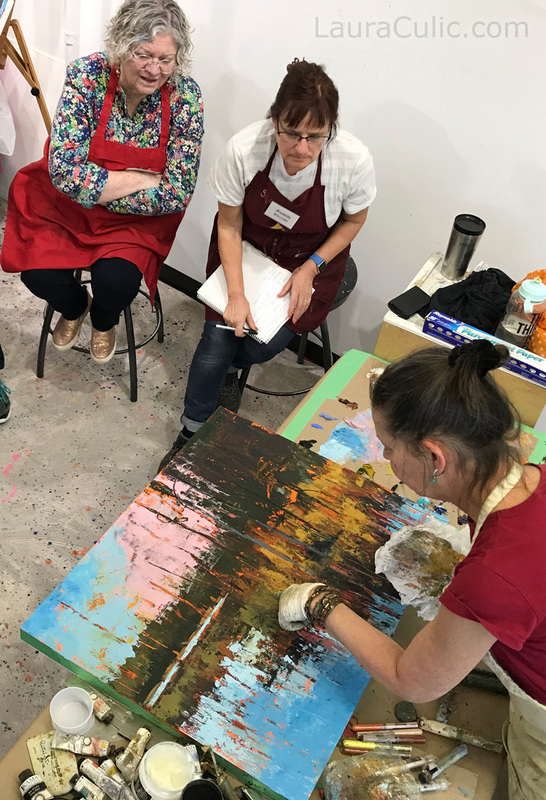 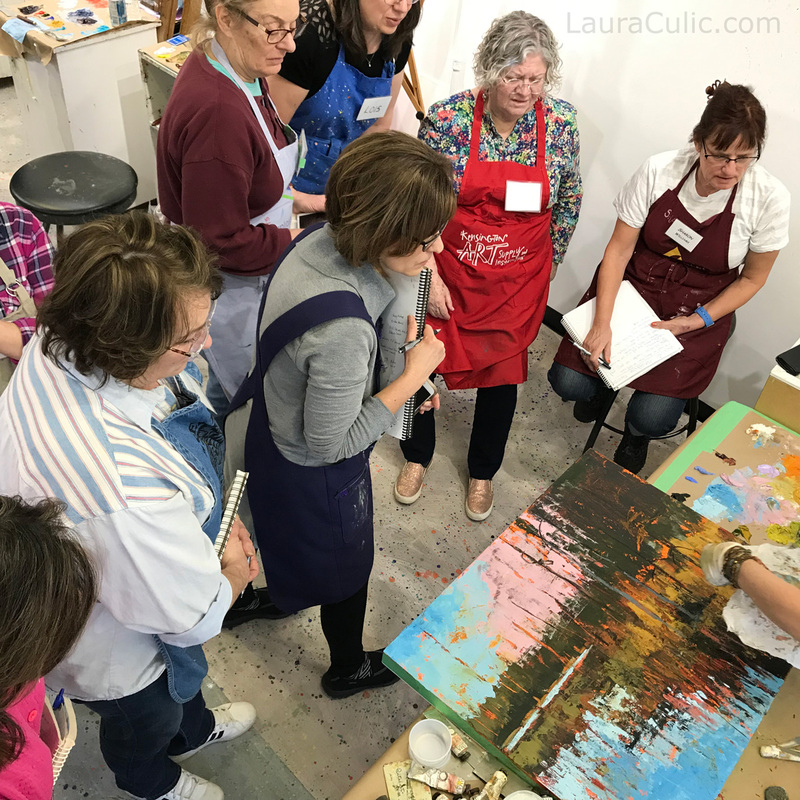 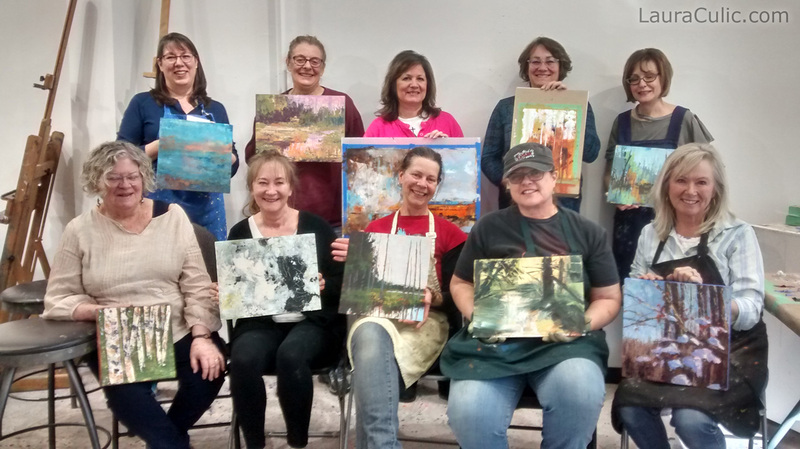 Students surround Laura Culic (centre, front row), proudly displaying their masterpieces, created in her two‐day workshop in 2019 in Calgary, Alberta. 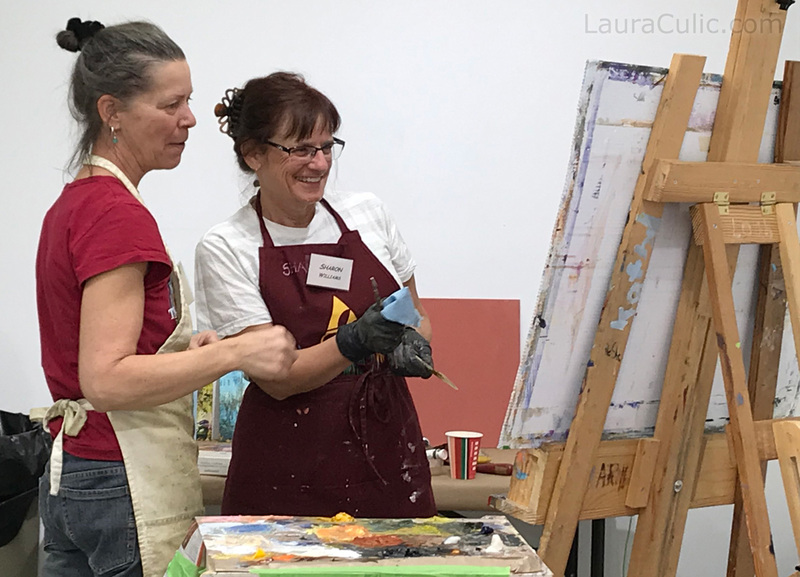 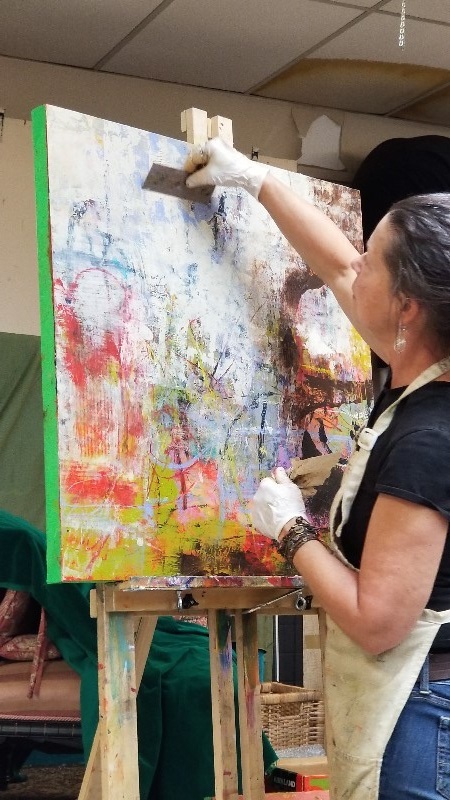 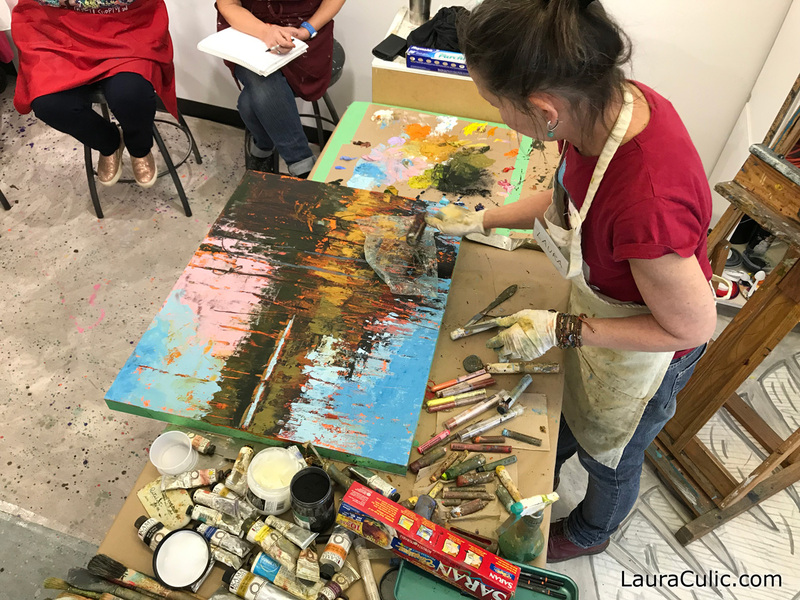 Artist Laura Culic has been a professional instructor for 30 years, with particular expertise in continuing adult education. 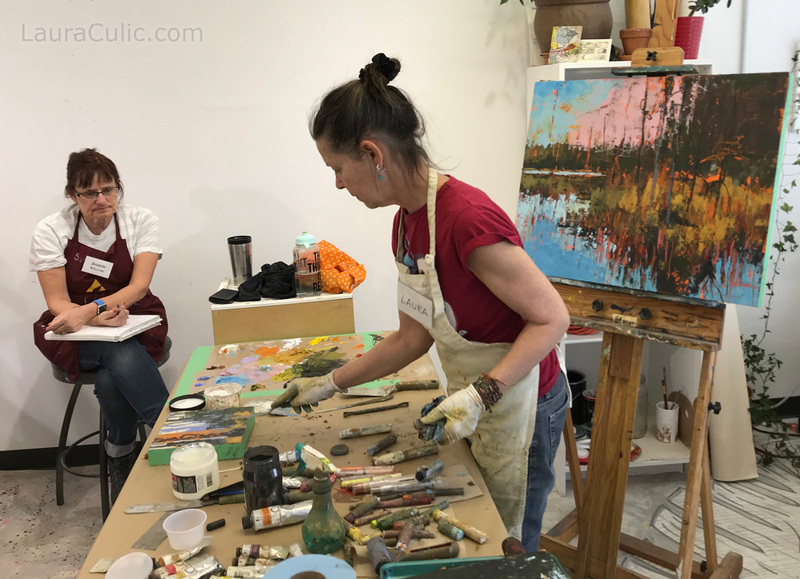 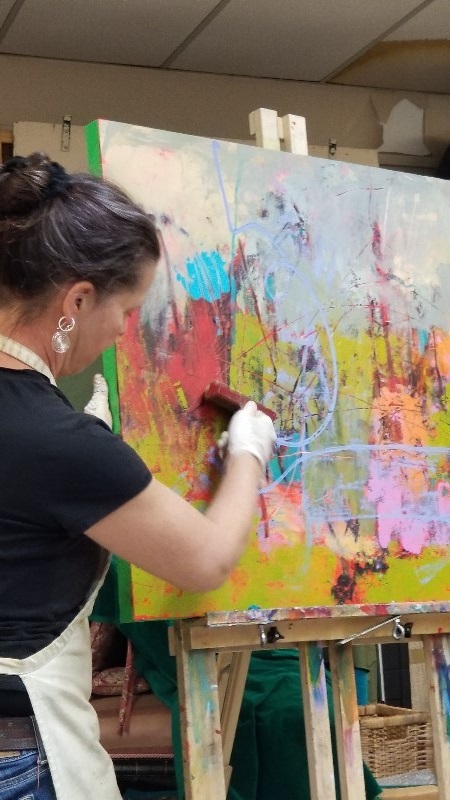 She welcomes opportunities to teach art groups and artists and brings her extensive knowledge and infectious energy to every session. 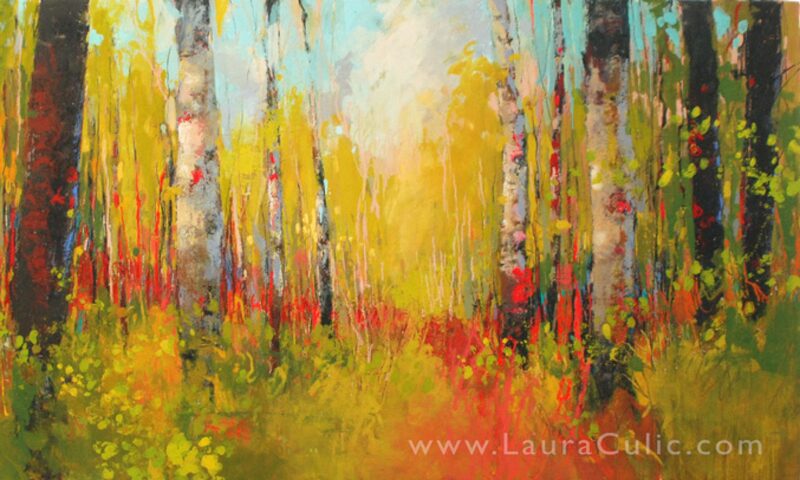 Contact Laura directly to discuss the many options available. 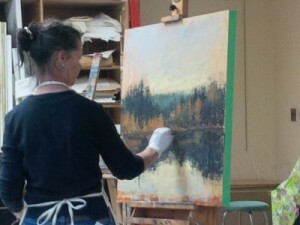 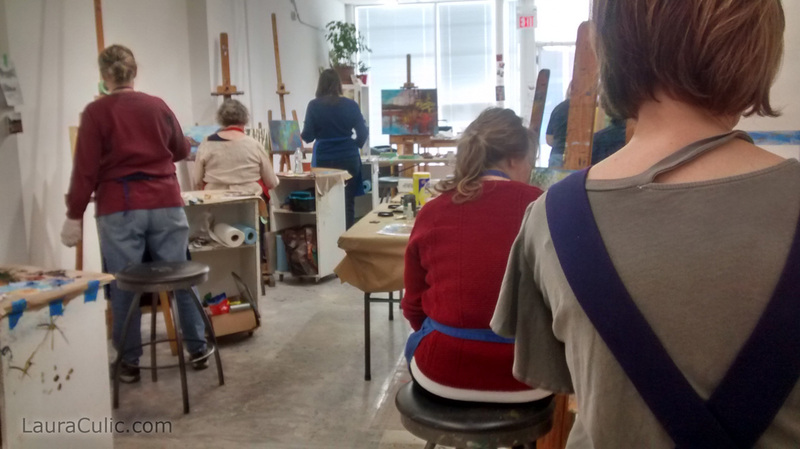 View from the back of the demonstration room in Calgary, from art masterclass taught by Laura Culic. 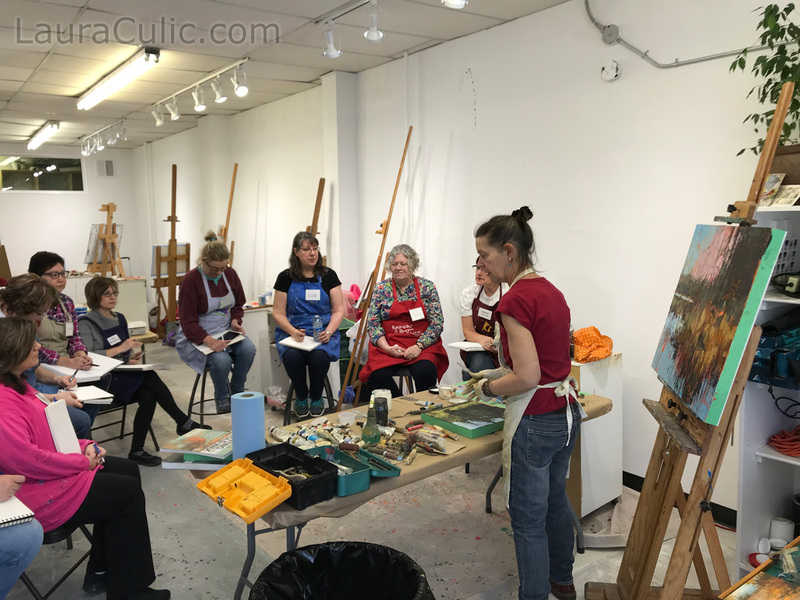 Workshop participants around demonstration table.